This piece was grown (knowingly or unknowingly) in concert/as a result of conversations with Daniel Tesghay, Dima Alansari, T. Geronimo Johnson, TC Tolbert. I am on a flight from Seattle to Vancouver. It is day becoming night. An orange line of light cuts through the sky, bleeding into the emerging darkness, chasing the sun as it descends over the Pacific Northwest. I overhear the mother in the seat behind me say to her child, who cannot be more than 3, “I love you. I want the best for you.” Her voice breaks with tenderness, and though I cannot see her face, I know there is salty water in her eyes. I think about mothers crossing borders, with and without their children, with and without documents, or vehicles that will assure them safe passage, with and without the promise that they will arrive. I want to talk about the ethics of what it is to be a storyteller in this historic moment. I am the daughter of a family of Jewish refugees on my mother’s side who crossed the sea from Poland to New York on an ocean liner in the 1940s. I am not a refugee, I only know what it is to live with the hauntings of attempted genocide, and geographic displacement as they echoed through my family. So I am looking for what I can/not perceive. On the topic of perception I am writing this in the wake of the terrorist attacks in Paris, which is to say in the wake of the terrorist attacks in Beirut. But there are other names too: Baghdad, Aleppo, Occupied Palestine, it goes on; and now Garissa Unversity, but only 7 months later, and only by association, not by it’s own merit. I want to encourage a troubling of the frames. Let’s take the “crisis” in “refugee crisis” for example. The “refugee crisis” as it is recognized now only became a crisis in the public mind, which is to say the “Western” public mind, when it became increasingly visible within Europe. In the meantime millions of people have been displaced internally, or to neighbouring countries in the cases of Syria, Iraq, Eritrea, Egypt – the list goes on – as an extension of the ongoing impacts of the West’s protracted War Of Terror, since 2001. Widen the frame, just marginally, and we view Canada’s military involvement. Shift the frame just to the right, or the left, and the governmental agencies funding the arts extend from the same body funding the military. Those of us writing and creating (funded or not), in Canada, are already doing so in the context of the “refugee crisis;” we are already responding, whether or not that thought has yet entered our perception. Chris Abani asks in Ethics and Narrative: the Human and Other, “What if compassion, true compassion, requires the choice to be open to seeing the world as it really is, or as it can be?” It’s a question those of us creating in this time could all serve to ask. In 2008, as the Artist In Residence at Neworld Theatre, I wrote The Map to Zochrot, an interdisciplinary work documenting my return as an Israeli-born Jew of Sephardic and Ashkenazi descent to Israel/Occupied Palestine, the place of my birth, for the first time as an adult, post Israel’s second war on Lebanon. Eventually I came to view just how narrowly I had drawn the characters that populated the work, both of my family whose Zionism I opposed, and the Palestinian activists who confronted the daily realities of life under military occupation. Even there, I have reduced them. I was too fearful to really see the inconsistencies of my politics, the ways in which the choices I made (and continue to make now, for example in holding Israeli citizenship) revealed my complicity, what that said about the nature of my longing, the state of my heart. Very easily that reduction becomes a fetish of difference. A human is not simply their condition, but what is revealed in our art is our capacity to understand that, and to yield to that knowing about ourselves, first. I am asking this of all of us: How do we hold ourselves to account, to the emotional truths beneath our rhetoric and behaviour? Because even art based in good research that has not investigated its emotional truth cannot redeem us. Because our ability to research well is based on the questions we know, and are willing to ask. Vancouver-based organizer and writer Daniel Tesghay pointed out to me that the majority of the 3,000 people who have drowned attempting to cross the Mediterranean this year are Eritrean, not Syrian as the media has suggested. I live and work on the unceded and occupied territories of the xʷməθkʷəy̓əm, sḵwx̱wú7mesh, and Tsleil-Waututh. So the question is: What happens to a story told out of its context, and by this I mean, its relationship and responsibilities to other stories? The condition is not separate from the making. Stories do begin somewhere, even if it is over and over again. The night before my flight from Seattle to Vancouver, I sit with two colleagues talking about art and impact. One reminds us that when we do not complete a course of antibiotics the result is the mutation of the bacteria causing the infection in the first place. The bacteria become resistant. The infection doesn’t heal, or the scar makes the skin impermeable to the air, and then nothing can enter or exit, nothing can change. This is the risk we take when we tell stories, but we are not sure why we are telling them; irrelevant of proximity. Through the unexamined story-act, we can sometimes enable the thing we most desire to call into question. Don’t misunderstand, I’m not advocating an abandonment of imagination. I’m advocating a bigger, scarier form of imagination, the kind that brings us closer to ourselves – the precursor of seeing things as they really are. Because while the condition of being a human on earth is a condition we share with any other human that currently resides on earth, and while the spectrum of emotions we can experience are limited, the specificity of our experiences are not, even as they are generated through the same structures. The differing impacts rendered to us under those same structures, are the direct result of the ways in which our humanity is differently elevated, differently grieved. This is why we urgently need better more honest stories. The question is this: Who gets to tell stories? What stories enter public consciousness, and when, and by what/whose design, and through the vehicle of whose representation, and to what end? Who receives the material or professional benefits of stories when they are told? And because after all, this is about “us,” the “theatre community,” let’s look here. Our ability as a “community” to respond to the “refugee crisis” is configured by “our ability” to look inwards. To make legible the conditions within which we are already creating? But I mean beautifully. Again, I’m not advocating we abandon our art. There are questions too however about when we show up; about what the work of artists is in shifting narratives not just in the venues we are accustomed to, or comfortable in, but using our skill in narrative in the public domain, perhaps even strategically. Do we wait for austerity measures to slam down onto us before we respond? Here I think of BC, 2012. Aylan Kurdi, the three year-old Syrian boy who drowned as his family sought to escape – even as they embodied – the “refugee crisis” brought the attention of the world to the “crisis” itself, by virtue of a frame being trained on his lifeless form, though he was much more than his dying. “We”/”Our” is used as a very shifty identifier in this piece. Call yourself in/out as you feel called. This is work in re-vision as such there are necessarily gaps/errors in analysis, etc. 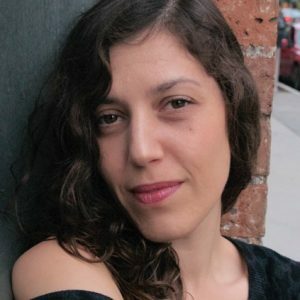 mia susan amir is a community-embedded writer, interdisciplinary performer, and educator. Born in Israel/Occupied Palestine, she has lived most of her life in Vancouver, BC, Unceded Coast Salish Territories. The Creative Director of The Story We Be, Vancouver, mia she teaches creative nonfiction, and creative-political praxis. She was a 2015 Distinguished Visiting Writer of the Low Residency MFA Program at Oregon State University-Cascades. mia has performed her work across Canada and the United States, and been published on Lemon Hound’s New Vancouver Poets Folio, and Digging Through the Fat.